Essential Dynamics has unveiled its new product, a printer called Imagine 3D that the company is hoping would be able to change the way we view our printed copies. What exactly does it uniquely do? 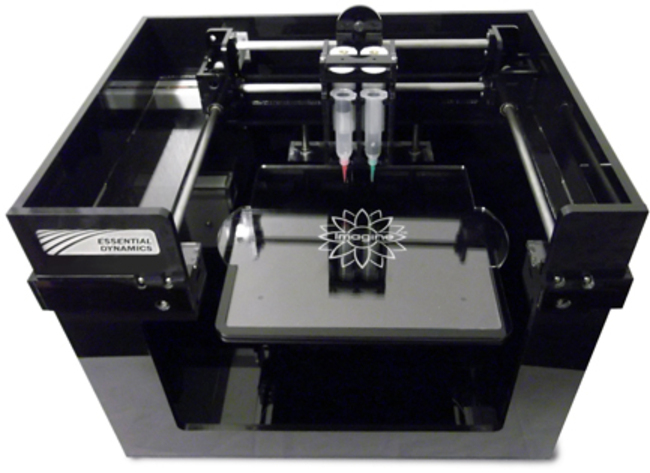 Imagine 3D is not your regular printer as its syringes may be filled with chocolate. Yes, a chocolate-flavoured print job that Essential Dynamics is hoping would find a market as it pushes for 3D printing. It’s not just chocolate that the printer’s syringe may be filled with, you may also add cheese, silicone, epoxy and concrete tom make your printed copy more life-like. The Imagine 3D, unique as it is, will set you back a whopping $3,000. If you’re really that much of a chocolate lover or love making new stuff and have cash to spare, then this might get your attention.